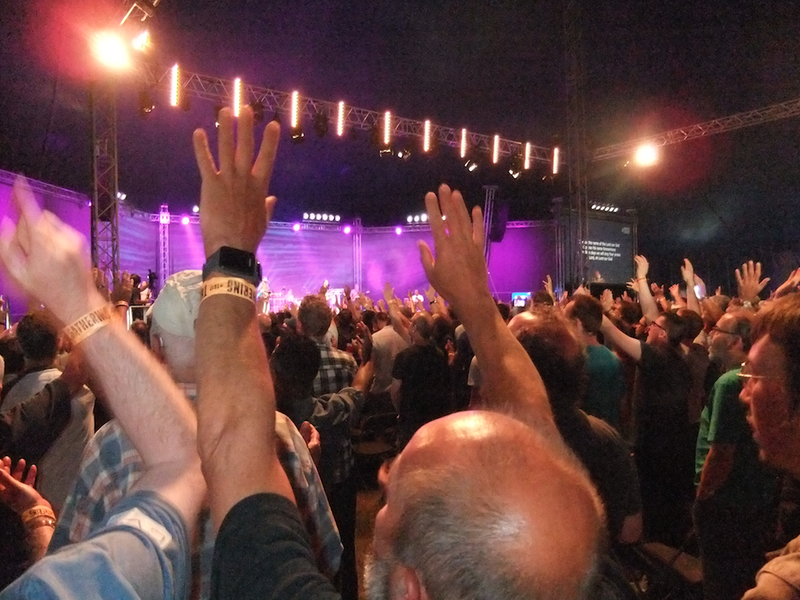 June 2017 saw over 2000 men gather for the annual Christian Vision for Men weekend in a field or two near Swindon. The weekend is the largest event that CVM puts together in the year and is called The Gathering #TG17. Lots of stuff happens during the weekend and it is quite something to experience. 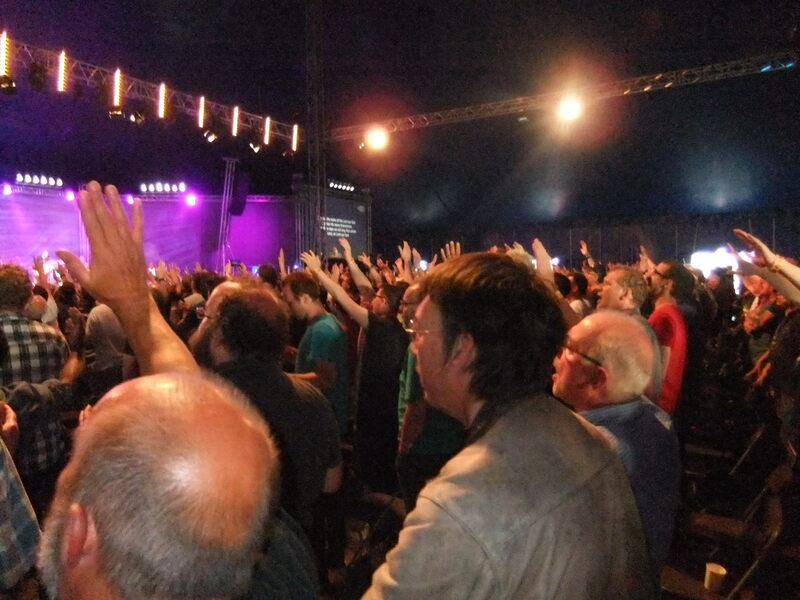 The most powerful part of it per year is the worship in the big marquee with 2000 men. Various testimonies of how lives have changed by men stir the hearts, coupled with some powerful gospel talks by some of the speakers. 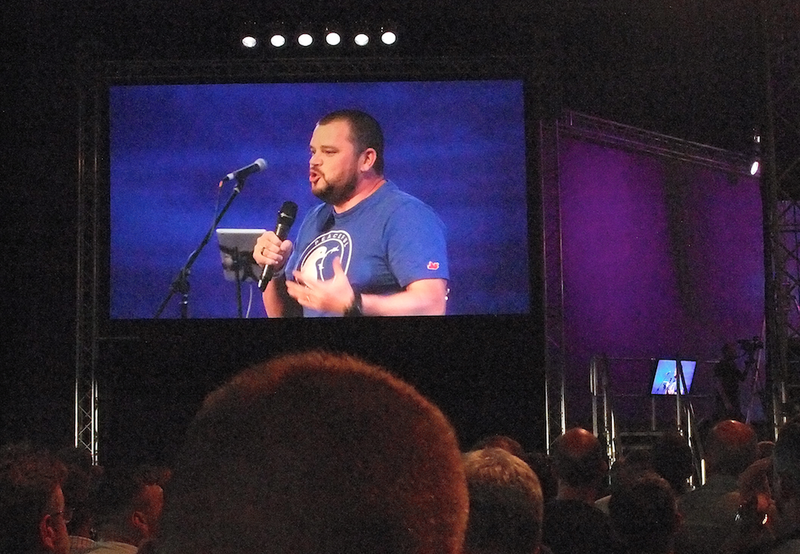 This year, Simon Thomas [Sky presenter and ex Blue Peter presenter] shared a powerful testimony. Carl Beech and Nathan Blackaby of the CVM team spoke powerfully and during the weekend around 70 men went forward to kneel at the foot of a large cross and give their lives to Christ, choosing to follow Him and turn away from living life their way. The other men stand to applaud as men go forward responding to the gospel invitation. There is passion, tears are shed, praise flows and and the atmosphere is incredibly moving and powerful. 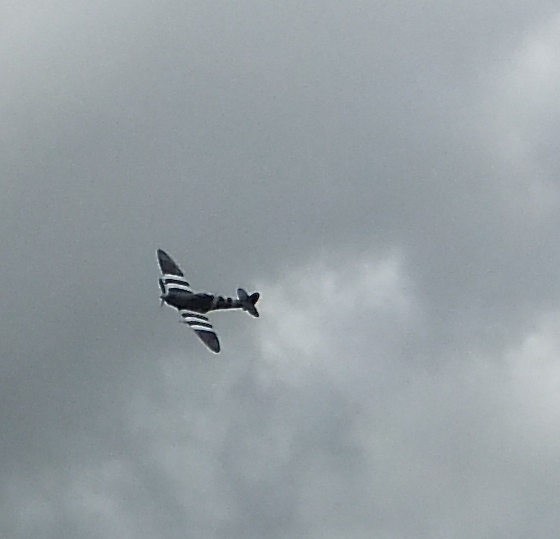 During the weekend there are special moments like a flypast by a Spitfire and a Hurricane several times over the cheering men in a field near Swindon. 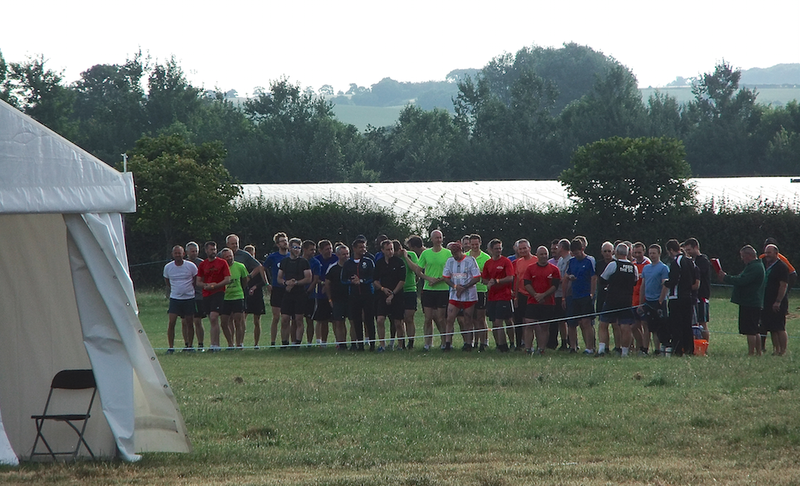 This is arranged by some of the military men who attend the weekend from the RAF and the Army. There are plenty of fun things too, like the comedian Tim Vine, the Blues band, The Blue Mammas and their was a magical act too. 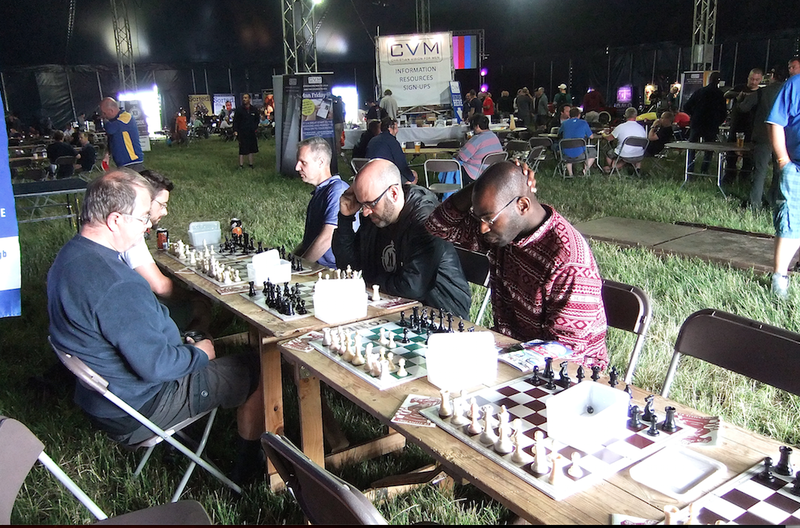 In the free time period on Saturday afternoon there is much variety from football tournaments, hockey challenges, shooting, axe throwing, sword fighting and more logic solving mental challenges a chess competition. Various fringe displays are around the large meeting area marquee for people to enjoy including a bookstall, several free coffee stations and a bar. I ran the chess ministry and gave each of the participants a Checkmate booklet, an illustrated gospel that makes a clear link between chess and Bible truths. 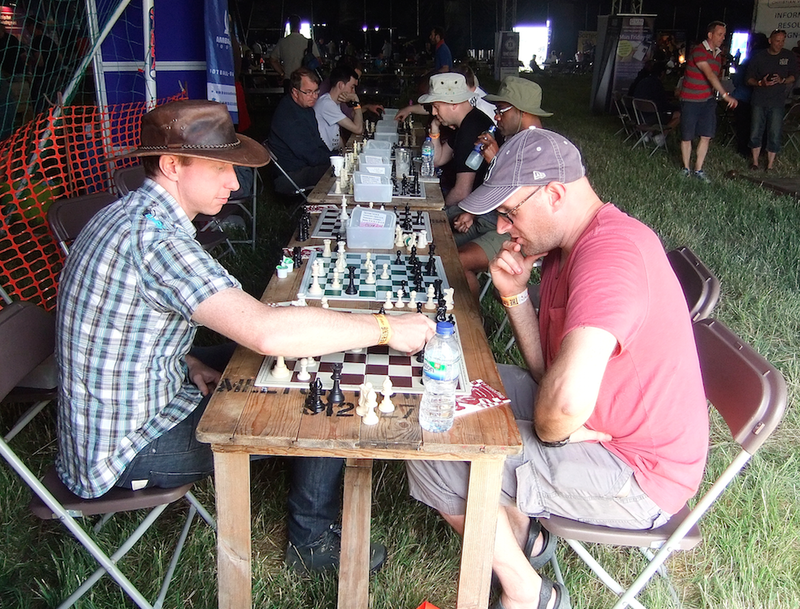 I have found chess to be a tool that is effective in stimulating the brain, developing concentration skills and logic solving problems. 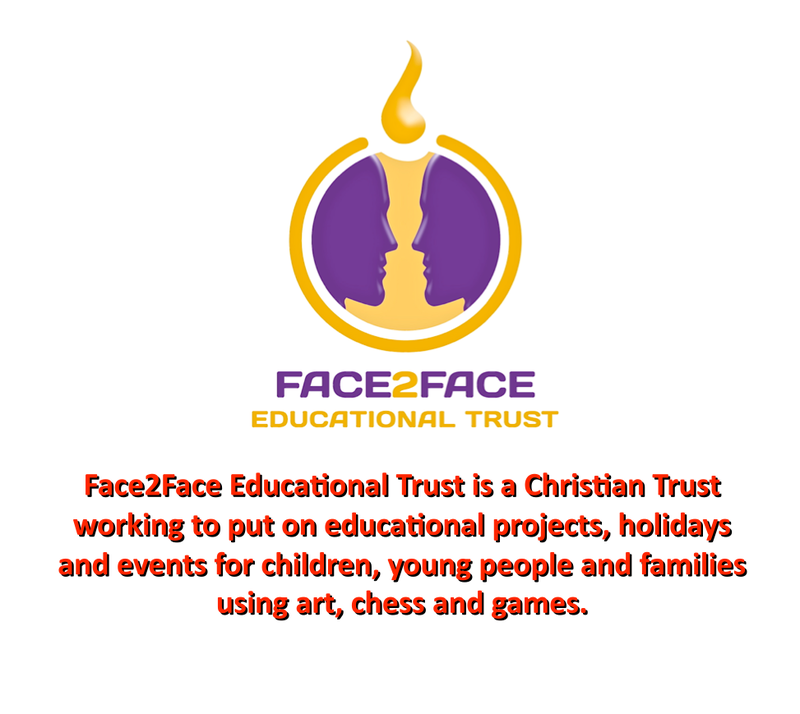 It helps decision making skills and is a fascinating game that I can take into schools, churches and on to the street to take on all-comers in the high street. At CVM, I take about a dozen boards and set up to initially play a number of games as a simultaneous display and then cultivate various games amongst the men. 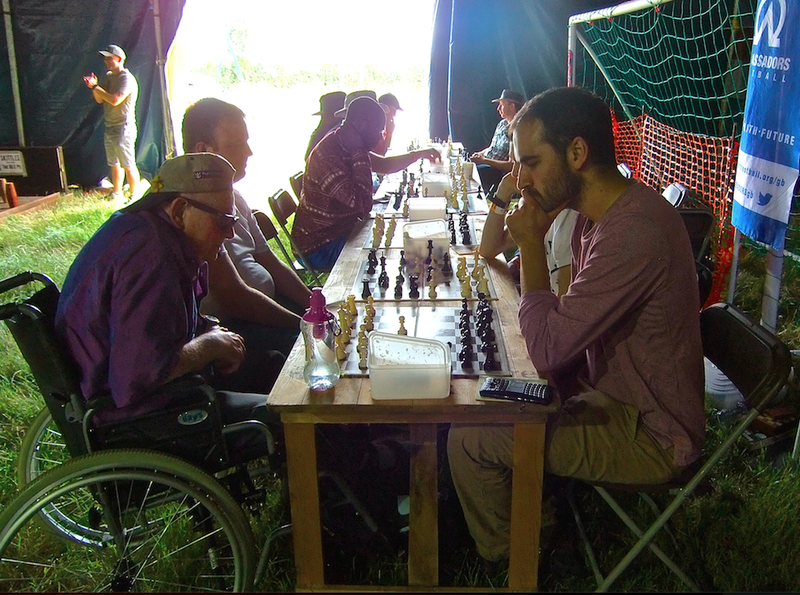 The beauty with chess is that it opens doors with people of all ages. 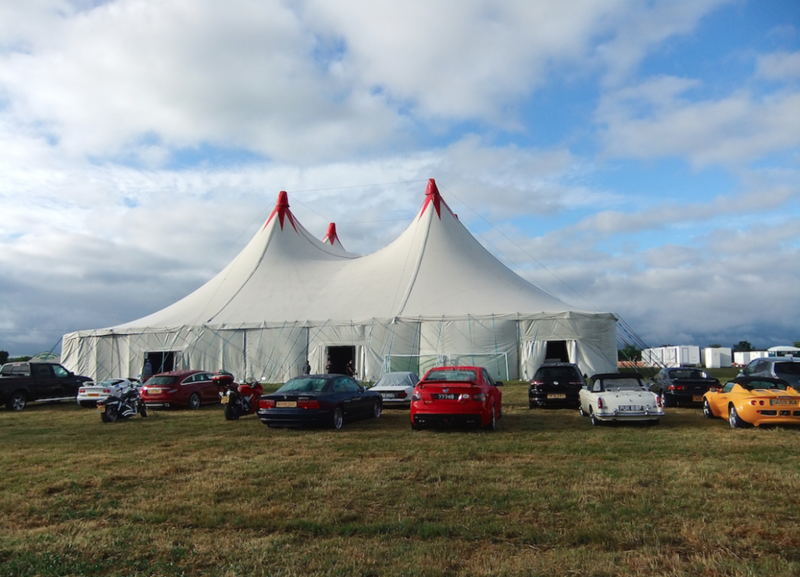 The site includes alongside the two large marquees, a Prayer Tent, showers and toilets and a few fringe eating areas. I made a point of praying for a woman in particular during the weekend and enjoyed pacing up and down in the Prayer Shed at the start of each day. I also enjoyed the late night praise in the Prayer Shed at the end of the day, very powerful. In recent years I have taken prayer, very seriously and have come to realize that prayer is key to any move of God’s Holy Spirit. After an early cup of tea, I would join the Bible devotion input from Roy Crowne a fellow evangelist, who opened up Luke 5 and John 21 on consecutive mornings. If any man is reading this article and is considering going to a CVM weekend, I would warmly recommend it. Some Churches may plan to take a group of men and reach out to those on the fringe of church life, I would encourage you to do so.